Our Tanzania office employs individuals with expertise in health information systems, monitoring and evaluation, surveillance, business development and data science. Mboneko provides ongoing support and implementation oversight for the multi-component evaluation of the DREAMS initiative in Tanzania. 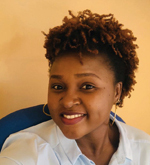 She has worked with Global Programs since May 2017, starting as a data collector conducting baseline data collection for the DREAMS study cohort, later supporting follow-up and tracking efforts, before finally transitioning to her current position. As a research study coordinator, she provides oversight to data collectors during quantitative and qualitative data collection for three components of the DREAMS evaluation. She also contributes to decisions regarding study design and implementation. Prior to joining Global Programs, Mboneko was involved with research projects such as the Resettlement Action Plan for Eco-Energy Sugarcane Plantation in Bagamoyo, Tanzania; good governance research for Tonye Princewills in Port Harcourt, Nigeria; and the SME Project for Port Harcourt Government in Nigeria. 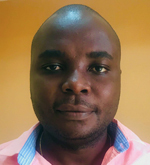 Ndayongeje provides ongoing support and technical expertise for a variety of surveillance and data use activities, including bio-behavioral surveys among key populations, as well as national and regional data triangulation projects. He coordinates implementation and oversees a project that is mapping the use of injection drugs throughout Tanzania. 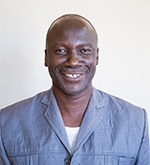 Prior to joining UC San Francisco, Ndayongeje worked for 16 years in the Ministry of Health and Social Welfare, National AIDS Control Programme, where he was responsible for developing protocols for HIV surveillance surveys, developing monitoring systems for HIV/AIDS programs and analyzing monitoring and evaluation and surveillance data to produce descriptive and detailed reports. Rwihula provides administrative, financial, and logistical support to the Global Programs office in Tanzania. 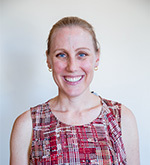 She oversees office operations, provides logistical support for field activities and works with the San Francisco-based Global Operations Team to coordinate outsourced accounting and human resources services. 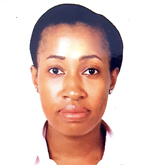 Rwihula has nearly seven years of accounting experience with Innovex Development Consulting Ltd and Pinnacle Finance, and an additional four years of operations and coordination experience with Support Information Network Tanzania. Dr. Sabasaba provides technical support for surveillance activities at Global Programs. As a surveillance officer, he contributes to the development of protocols, data collection tools and development of data analysis plans for population-based surveys, bio-behavioral surveys among key populations and program monitoring activities. He also supports data analysis, interpretation, summarization and dissemination of data from surveys and surveillance activities. Dr. Sabasaba is the lead coordinator for a multi-region study that seeks to understand the HIV epidemic along a major transit corridor in Tanzania. Prior to Global Programs, Dr. Sabasaba worked at Muhimbili University of Health and Allied Sciences as an assistant lecturer, where he taught courses in epidemiology and biostatistics. He also has clinical experience, having previously worked as a medical doctor at Kibong’oto National TB Hospital and Temeke Regional Referral Hospital. Christen Said works to build local capacity to improve the quality and use of routine monitoring and evaluation data and has collaborated with local institutions to conduct integrated behavioral surveillance surveys (IBBS) among most-at-risk populations. Said played a leading role in the development and launch of a master's degree program in Health Monitoring and Evaluation at a Tanzanian university and continues to support university activities, including the development and implementation of M&E and data management related short courses and a regional M&E journal. In addition, Said has been involved in triangulation projects, data quality assessments, the development and roll out of national data quality assessment guidelines, designing research protocols, data analysis, and dissemination of research findings.